Yes, I did sample every one of these new Shinsei menu items. Oh, yes I did! Shinsei (pronounced shin-say) means “rebirth” or “new beginning” which is actually what owners Tracy Rathbun and Lynae Fearing had in mind when they joined together to become "the most dynamic Culinary Duo in Dallas". The ladies say, "When we came up with the concept of Shinsei we wanted a place that reflected our lifestyles: sometimes we went out to dinner with our kids and sometimes with our friends and husbands. We wanted to create a place where a night out with the kids didn’t mean food adults had to suffer through or a night out with the parents didn’t mean a stuffy place where kids had to wear a scratchy clip-on tie. 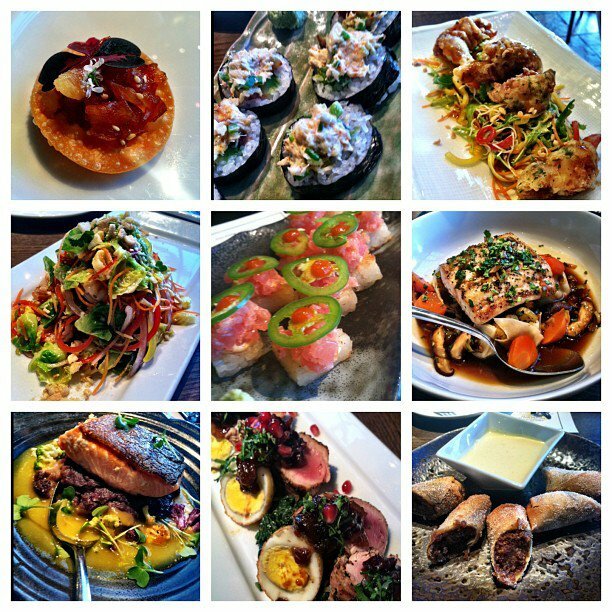 Shinsei is just that: a neighborhood gathering place with date night appeal." These days everybody thinks they are a food expert. Turns out, some people actually are! Over the past seven years, Shinsei has often let regular customers tweak options off the menu to suit their personal tastes. Fearing and Rathbun recently had the genius idea to take these custom dishes and create a new "Regulars Favorites" menu. I was invited in last week to try several new menu items, and from salads to entrees, rolls to desserts there is something delicious on this menu for everyone. The ladies will like the Healthier Kendall Roll with poached shrimp, avocado, big eyes tuna and jalapeno. If you're a little more daring, try the Live Sea Urchin... I triple dog dare you. Or maybe you'll be able to sweet talk Chef Shuji “Elvis” Sugawara into creating something innovative and exciting just for you.